How many koalas crossed the road? One koala, two koalas, three koalas, four. Five koalas, six koalas, seven koalas … what …. Not far from my place a busy road regularly claims the lives of our vulnerable koalas. In fact, between 1997 and 2008, over 2000 koalas were hit by vehicles on Redlands roads. Last year I noticed a big green bridge being built. Yahoo! A wildlife crossing! So what if the poles looked a little slippery and steep? 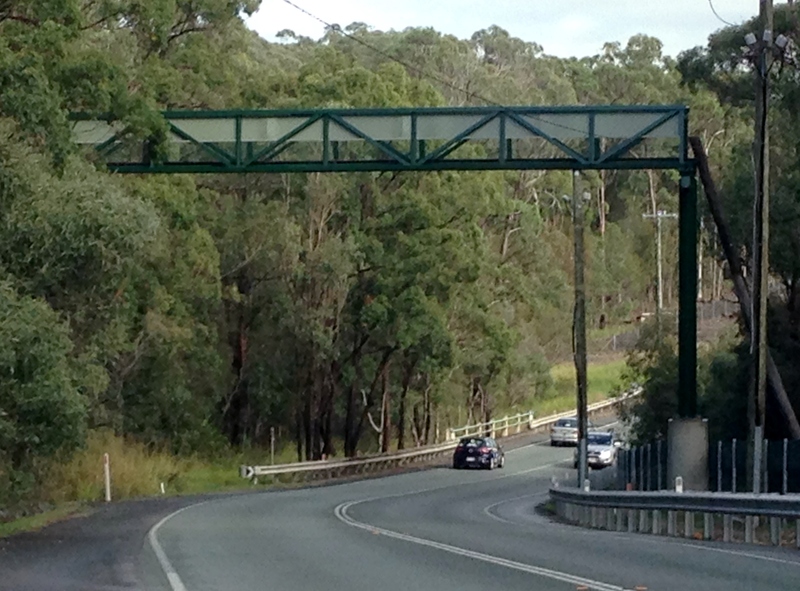 Someone must have done the research and decided koalas liked these crossings – right? I recently had the pleasure of attending the Annual General Meeting of the Koala Action Group of Redland Bay, where guest speaker Cath Dexter, Senior Research Ecologist from the SEQ Koala Road Mitigation Project, spoke about her work researching the movement patterns of wild koalas, including the crossings that koalas make over some of the busiest roads in SE Queensland. You have to admire the tenacity of Cath and her crew. They tackled radio collars that fell off, inaccurate recordings, vandals, koalas that insisted on crossing the same road over and over again, drought, fire, flood and sick koalas that just plain died. But, after 3 years, their patience paid off. They had substantial tracking and photo evidence to make some definite statements about the way in which koalas moved around busy roads. No surprises there. Young male koalas crossed busy roads the most, and more frequently in the mating season. They crossed whenever they felt like it, not just in the middle of the night. They liked the trees in the median strips too and often visited these as feed trees, not just passing through. Fauna overpass on the busy road near my house. Image credit: Samantha Wheeler. Then Cath talked about monitoring some “retro-fitted” wildlife crossings. These included tunnels and the fancy new over-pass near my place. She showed us some great footage of koalas, possums, snakes, kangaroos, and echidnas crossing under the roads in the modified drainage pipes. Cath quietly explained that no koalas had been seen crossing the new bridge. None! 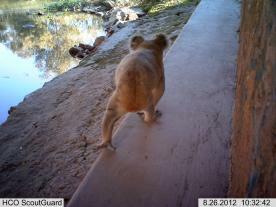 Photo of a koala using a modified underpass to cross under the road. Image credit: Griffith University. Any possums? None. How could this be? As far as Cath knew the bridge prototype had not been tested as the “best practice” crossing for wildlife such as koalas before installation. The company that had built the bridge had not consulted Cath and her team before building it. Surely the prototype had been tested at a place like Australia Zoo with captive koalas before installation. Nope. My heart sank. So no koalas used the crossing? Nope. Why? Because there was no tree line run up to the crossing? Because the poles were too thick, too slippery? Cath didn’t know, but the lack of research into the crossing seemed heart breaking. It felt like it was all just a big political scam, made to look like the Government was doing the right thing for the koalas, made to make me and you feel good, but not really helping koalas? Surely not? Overpass near Brunswick Heads. Image credit: Samantha Wheeler. An audience member raised her hand. 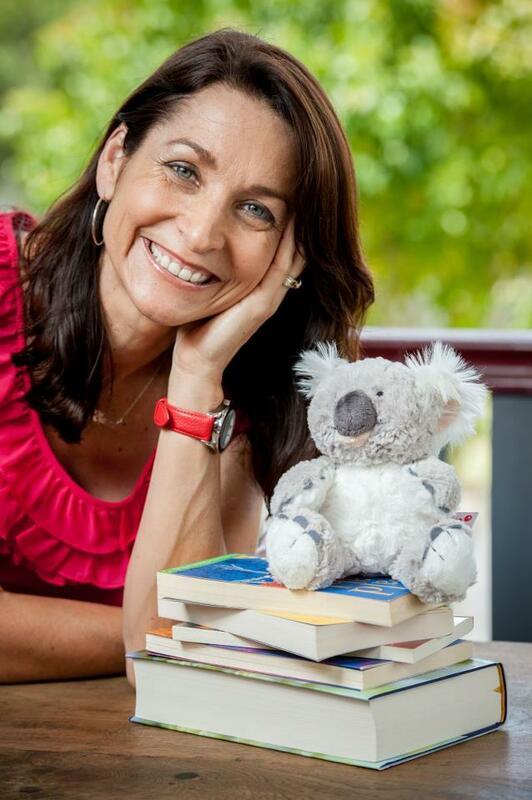 She was a koala ambulance driver with the daunting task of picking up injured koalas from the side of the road. She pointed out that the fencing either side of the overpass was helping reduce deaths. That was a relief. And the tunnels were undoubtedly working. I’d gotten goose bumps myself seeing the fat bottom of a koala waddling past the camera in a tunnel in a picture shown in Cath’s talk. Maybe the overpass just needed time? Maybe there were better designs? Cath said she doubted the new Government would spend any more money on overpasses or even if they’d spend any money on the upkeep of this one. I came away feeling ashamed to think we were the kind of public who could be fooled into thinking a few green poles over a busy road were enough. 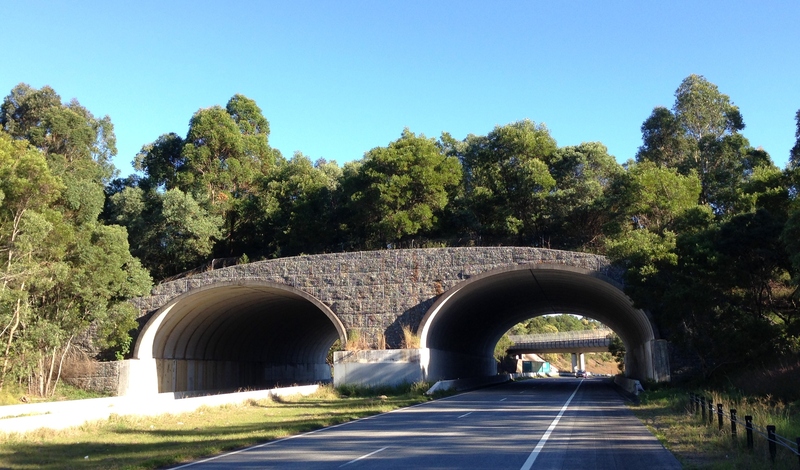 Surely any new road or new developments should have safe wildlife crossings factored into the cost of construction? And the type of crossing that works best should be researched and prototyped? Cath’s evidence seems to point towards modified tunnels, but what about wide, treed bridges like the ones pictured here? If we fenced either side of the road to channel the wildlife towards these safe crossings, we really could save the lives of our vulnerable wildlife. Wouldn’t that be a better option? Token bridges shouldn’t be enough to keep us quiet. We want real solutions that help save the lives of real animals. What’s happening to our Koalas? 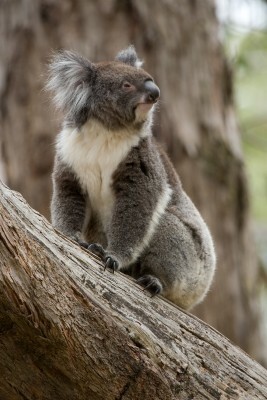 Posted in Wildlife and tagged conservation, koalas, research, roads. Bookmark the permalink.